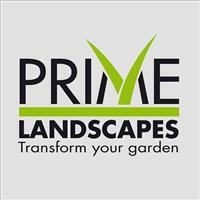 Prime Landscapes - Driveways/Patios/Paths, Landscaper based in Ruscombe, Berkshire. David is the proud owner of the company, established in 2016 with over 10 years experience in the Landscaping and Garden Service industry. Prime Landscapes are entrusted to maintain the grounds of many high-profile properties. All gardening and maintenance services are custom-designed to reflect a client’s tastes and lifestyle. Prime Landscapes quality, creativity and experience has enabled them to become one of Twyfords Area’s premier residential landscape and lawn care companies. Whether you are interested in landscape design/installation, maintenance services or hardscape services, they can help you to create and maintain any garden you desire. Alongside this the company can also complete all patios, driveways and pathways.. Please click HERE for a full list of our services.